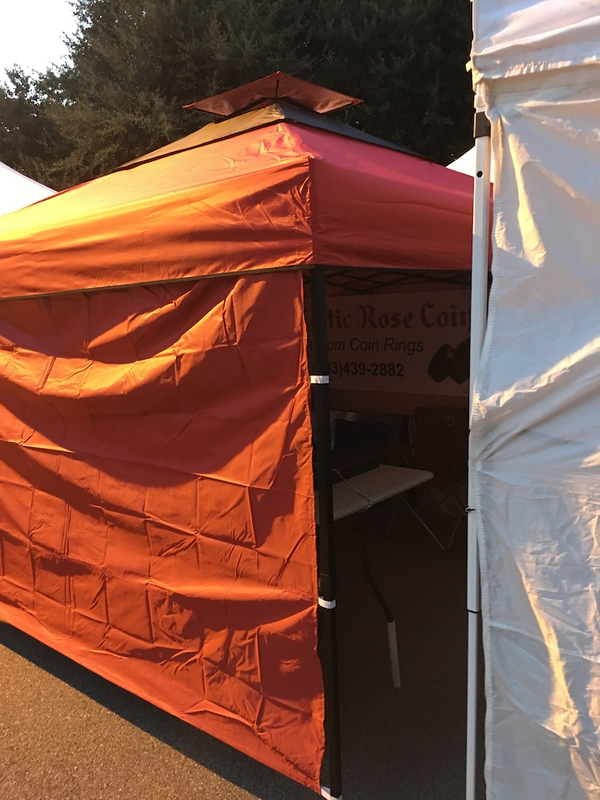 Celtic Rose Coin Smith specializes in making custom rings out of US and International coins. The most favorite choice in coin ring is made from 90% to .9999% silver, depending on the coin chosen. A more exquisite option is a coin ring made from a gold coin. We make coin rings out of most any coin or metal round, including bronze or copper. *Please be sure to read our disclaimer about different situations that may occur with different metals. Look for the RED tent! 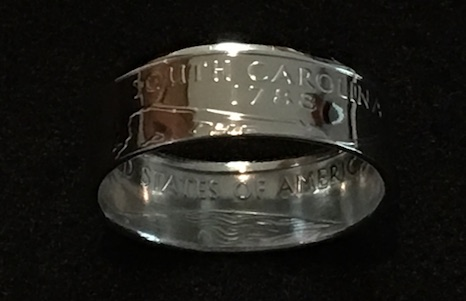 Order a Custom Coin Ring at the Show! While you are at the booth, enter to win a Custom Coin Ring! Copyright © Celtic Rose Coin Smith, LLC 2017, ®All Rights Reserved. Aiken, South Carolina.